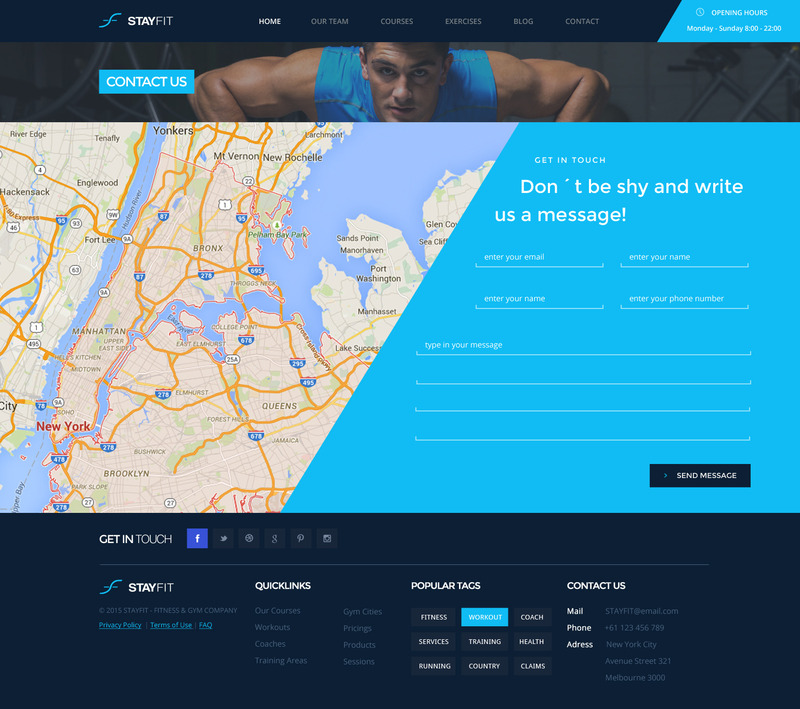 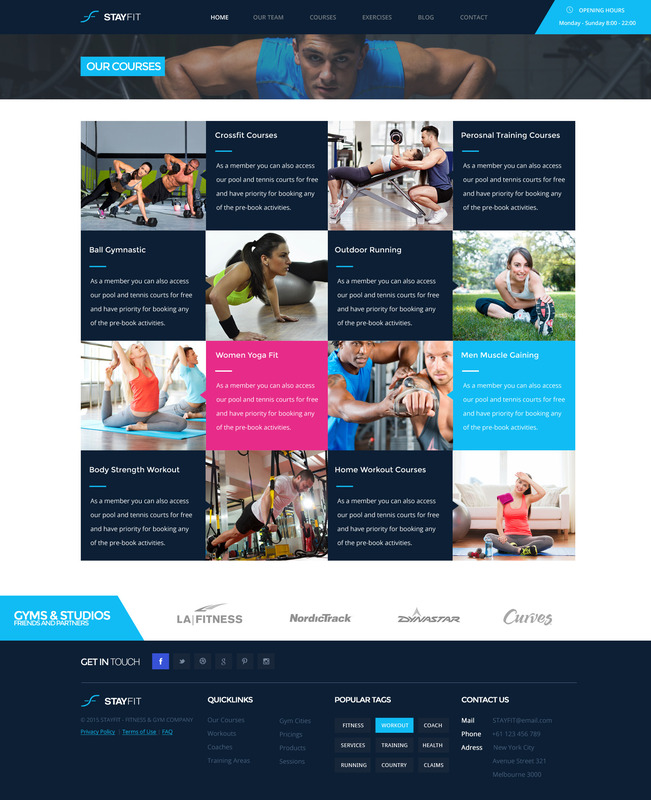 Stayfit is a WordPress theme for heallth, sports, gym and fitness websites. 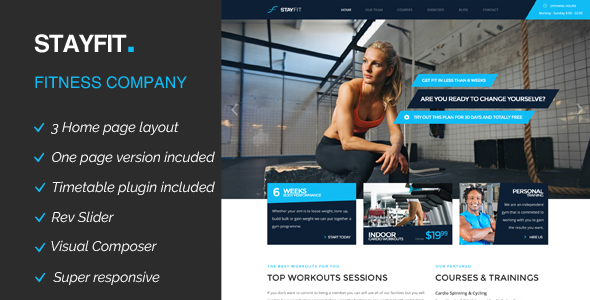 It is a highly suitable theme for fitness companies as well as gyms or sport clubs. 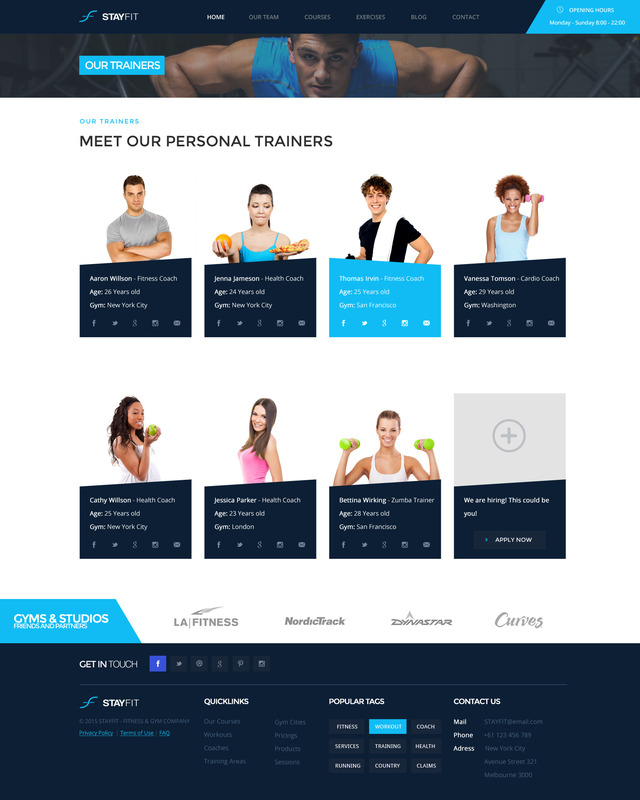 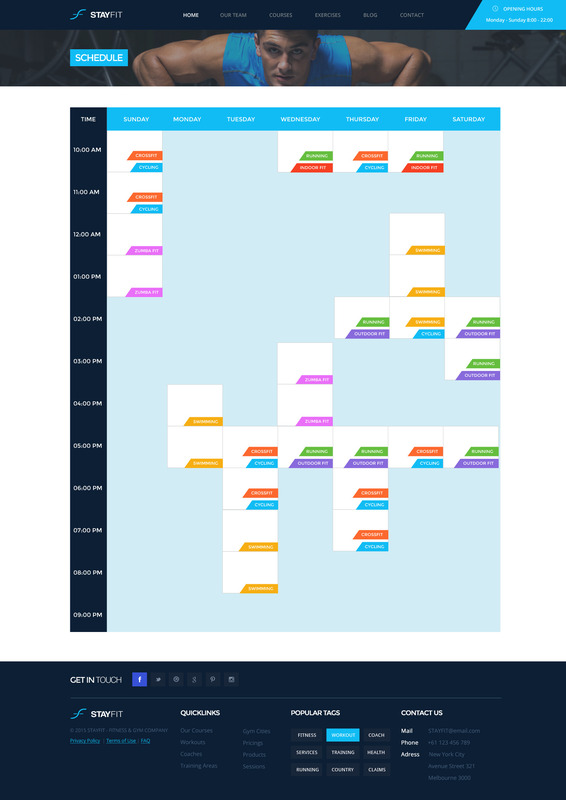 It has purpose oriented design, responsive layout and special features like appointment forms, services, courses, schedules, fitness plans and other pages.